Forgotten Hollywood » Blog Archive » “Forgotten Hollywood”- Rounding Up the Usual Suspects! « “Forgotten Hollywood”- Rare Film One-Sheets Auctioned! “Forgotten Hollywood”- Rounding Up the Usual Suspects! Rick Blaine is getting plenty of attention this month. 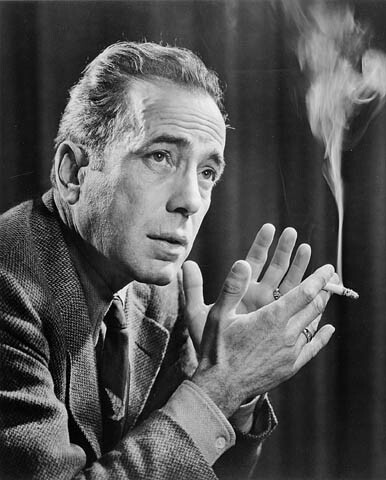 Bogart’s timeless character in Casablanca wil re-emerge on the big screen for a nationwide salute to the anniversary of the most entertaining piece of celluloid ever produced. Turner Classic Movies, in conjunction with NCM Fathom Events, is presenting a digitally re-mastered version of the Warner Brothers film on Wednesday, March 21st at 7p (local time) at selected theatres. It will be introduced by TCM host Robert Osborne, who will chat about the enduring legacy of Casablanca, and reveal fascinating behind-the-scenes stories. Tickets for Turner Classic Movies Presents Casablanca 70th Anniversary Event are available at participating box offices and online at www.FathomEvents.com. The event will be broadcast to nearly 500 select movie theaters across the country through NCM’s exclusive Digital Broadcast Network. Warner Home Video is also set to release Casablanca 70th Anniversary Edition on March 27th, featuring a 3-disc numbered gift set, including the remastered motion picture on both Blu-ray and DVD with more than 14 hours of bonus material. The keepsake additionally provides a compilation of three feature-length documentaries, a reproduction of the original 1942 French theatrical poster, a hard-cover 62-page book with never-before-seen on-set photography, sketches and production history, and a collectible set of coasters. The supporting actors in Casablanca get plenty of play in my Forgotten Hollywood Book Series. Claude Rains is in the initial paperback; while S.Z. 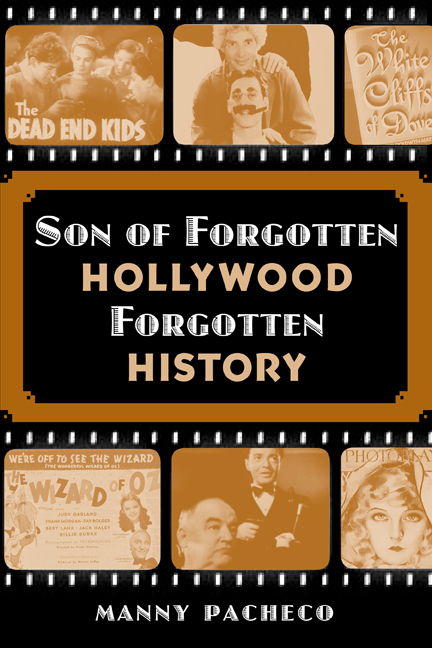 Sakall, Sydney Greenstreet, and Peter Lorre have chapters in my new work – Son of Forgotten Hollywood Forgotten History. Once again… Here’s looking at you, kid !! 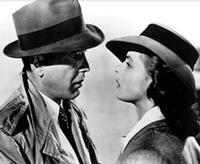 This weekend, the Pacific Symphony Pops will jump on the Casablanca bandwagon in Orange County at Segerstrom Concert Hall. Led by conductor Richard Kaufman, the Symphony delivers the soundtrack created by one of classic Hollywood’s best-known composer… Max Steiner. He wrote scores for more than 150 motion pictures, including Gone with the Wind, King Kong, and A Summer Place. A highlight will be the iconic tune that was sung in the film by Dooley Wilson – As Time Goes By. The Costa Mesa concert hall will be decorated in a Moroccan style, reminiscent of the locale. Casablanca Live takes place Thursday through Saturday, March 15-17, at 8p. This entry was posted on Thursday, March 8th, 2012 at 3:19 am	and is filed under Blog by Manny Pacheco. You can follow any comments to this post through the RSS 2.0 feed. Responses are currently closed, but you can trackback from your own site.